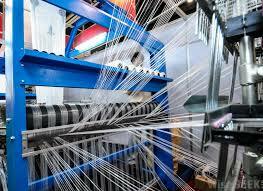 Textile engineering is the engineering which implements processing and production of fabric and yarns of textile fibres. The clothes we wear are basic needs and are the contribution of textile engineering. With the increase in dressing fashion, textile engineering has emerged to play a big role in economic development. A textile engineer is able to design, control, the textiles, raw materials used and the finished products. Textile engineering, a discipline, is innovative in nature because of its scientific realm. Under this discipline a student learns different types of fibres, natural as well as synthetic. Students can admit them in this discipline under distance learning education program and after completion, there are scopes to get job in textile industries. NIMT - Neptune Institute of Management and Technology offer Bachelor Program in Textile Engineering through Distance Education mode.